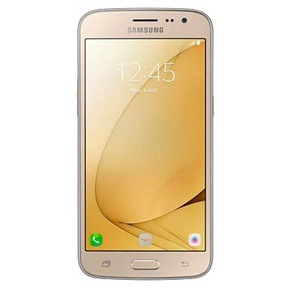 Samsung Galaxy J2 (2016) is a budget smartphone with 4G connectivity and LTE support. The smartphone features 5.0-inch super-AMOLED display for a great on-the-go experience. Launched in 2016, Samsung Galaxy J2 (2016) features 5-inch touch-sensitive display with a resolution of 720x1280. The smartphone is powered by a Quad-core 1.5GHz processor with the support of 1.5GB of RAM. Provided with the internal storage of 8GB, the smartphone allows you to insert a microSD card and expand storage up to 128GB. Samsung Galaxy J2 (2016) runs Android 6.0 Marshmallow and is powered by a 2600mAh battery that lasts for an entire day. The Galaxy J2 (2016) is provided with an 8MP primary camera and 5MP front-facing selfie camera. However, the smartphone features only a single SIM card slot. So, you can install only one nano-SIM card at a time and use 3G or 4G internet network. Needless to say, Samsung Galaxy J2 (2016) is quite an obsolete device, considering a range of better smartphones available in 2019. Well, it’s time to upgrade and sell old Samsung Galaxy J2 (2016) to Cashify and get the best resale value today. Why Sell Your Old Samsung Galaxy J2 (2016) On Cashify? When you need to sell old mobile, Cashify turns out to be the best online platform that offers the best resale value of your old smartphone in just 60 seconds. So, cashify your used Samsung Galaxy J2 (2016) now for instant cash. 3. Click on Samsung Galaxy J2 (2016) and you’ll see an estimated price to sell old smartphone right away. Further, you need to provide some basic information about your used Samsung Galaxy J2 (2016) and you will see the exact resale value of your smartphone right there. At Cashify, we arrange a free pick-up and provide you with the payment at the address of your choosing.